We're more than just an interactive design agency. We understand business objectives and we develop a strategy to exceed your goals and expectations. 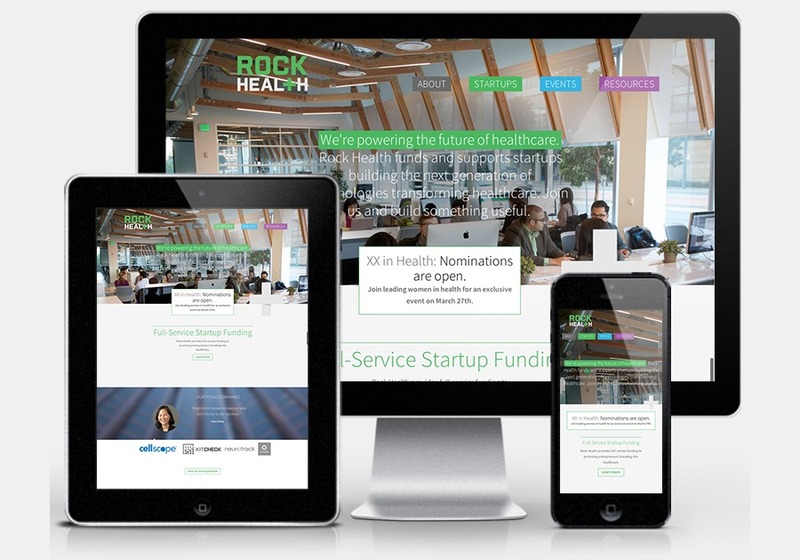 Rock Health is changing the face of digital medicine, and needed a brand and website that represented just how forward-thinking they are as a company. So we started from the top, working with them to reassess their marketing strategy, brand/identity, and to redesign and develop their website to create a bright, clean and beautiful experience for them on the web, and on mobile devices.